This lazy egg won't be getting up to do anything productive today, and it's not going to be quiet about it! Press this Gudetama super soft talking plush keychain to hear 12 unique catchphrases, including "Meh," "whatever," and "leave me alone." 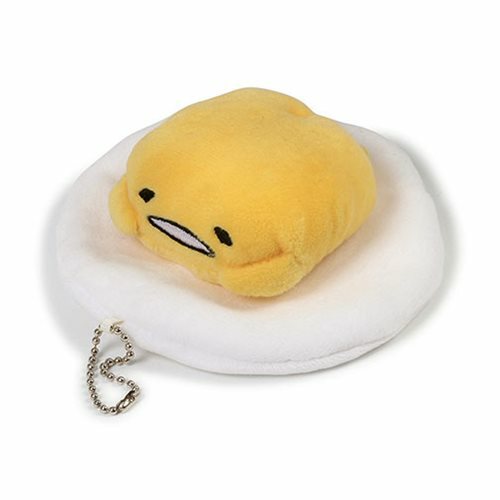 The Gudetama Sound 4 1/2-Inch Plush Key Chain includes attached ball chain for easy hanging. Measures about 4 1/2-inches long x 4 1/2-inches wide x 1 1/2-inches tall. Ages 8 and up.